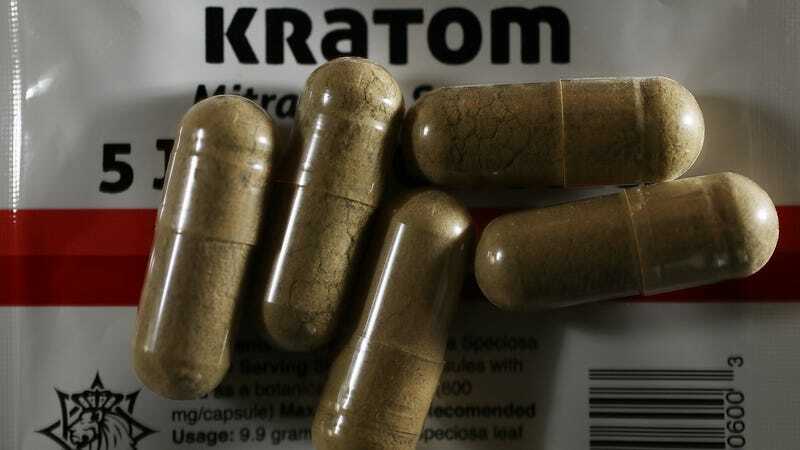 The Food and Drug Administration has once again weighed in on kratom, a herbal supplement some have said can help relieve pain and withdrawal symptoms from opioid use. And their verdict continues to be negative. On Tuesday, FDA chief Scott Gottlieb announced that the agency’s research on kratom has reaffirmed their suspicions of it being similar to addictive, dangerous opioids. Using a computer model, for instance, they found that most of the top 25 compounds in kratom had a similar chemical structure to opioids like morphine. The model suggested these compounds bind to mu opioid receptors in the brain, much like controlled opioid drugs available today. Gottlieb also cited reports sent to the FDA of people dying following kratom use as a reason to further discourage people away from it. Last November, the FDA issued a more equivocal warning for people to stay away from kratom for the time being, while advocating that it go through a formal drug review process to test its professed claims. At the time, there were 36 reports of kratom-linked deaths since 2011, but many of these involved people who had other drugs in their system. The agency now says it has received 44 reports, one of which involves a man who seems to have died from kratom alone. But even the reports of drug-mixing are troubling, Gottlieb said, since that further indicates how similar it is to opioids. Advocates have been less than receptive to the FDA’s claims. The American Kratom Association, which estimates that three to five million Americans use or have used kratom, blasted the FDA’s use of a computer model as an “unprecedented abuse of science” that flies in the face of available research showing that kratom doesn’t seem to be as addictive as abused opioids or as likely to cause overdose symptoms like slowed or stopped breathing. Proponents have argued that for some people living with opioid addiction, kratom remains the only reliable treatment available to them. In 2016, the Drug Enforcement Administration attempted to regulate kratom by temporarily placing on its list of controlled substances as a Schedule I drug, which would have effectively banned it from being legally used or studied. But it quickly delayed its plan following outcry from supporters and even lawmakers. Since then, the DEA has asked for agencies like the FDA to speed-up their own reviews of the evidence in order to inform a final decision. At this point, it’s still unclear when such a decision may come. But given the FDA’s renewed stance, it’s unlikely to be good news for those who use kratom.